In tow from Holyhead to Devonport with a cargo of pitched pine from Lorien, she parted her tug off Milford. 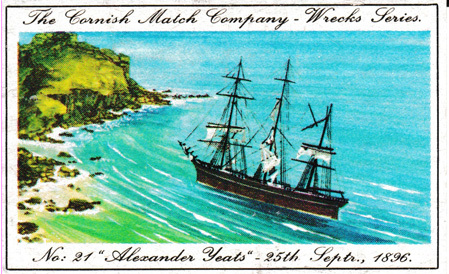 After beating along the Cornish coast for two days she drove ashore near Gurnard's Head on 25th September 1896. The crew of 13 were all rescued. This illustration was part of the Second Series and appeared in Issue 4. 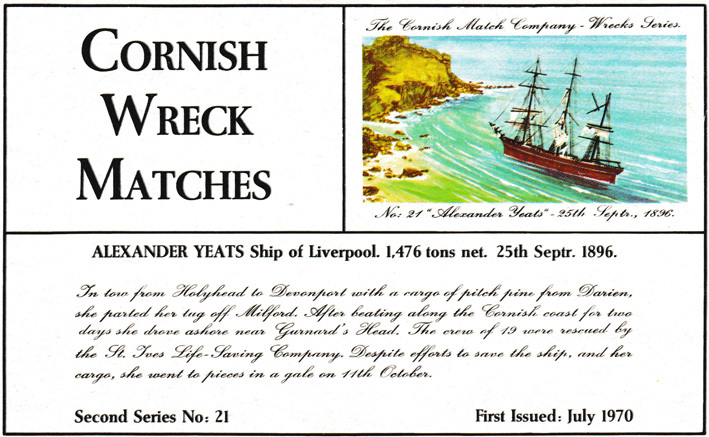 It also appeared unnumbered in Issue 23. These are all the known labels showing this illustration.